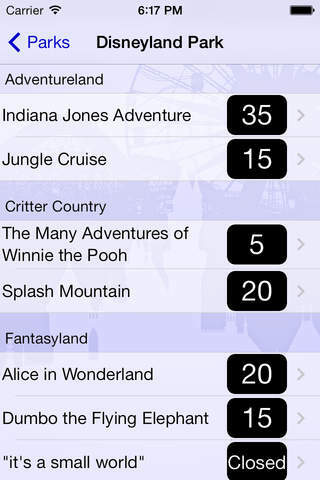 Attraction wait times for Disneyland Park and California Adventure. This app has a 4.0 star rating (8960 ratings). It occupies the 21919th position in our ranking with 75 points. It is among the 1% best ones of its category and among the 1% best ones of the overall top.